Keep informed of our progress and be included in our giveaways! Subscribe by using the form below. Enjoy the first 3 chapters of book 2, Heroes of Karth: Scourge of Orc Helm! Download a FREE PDF copy here! 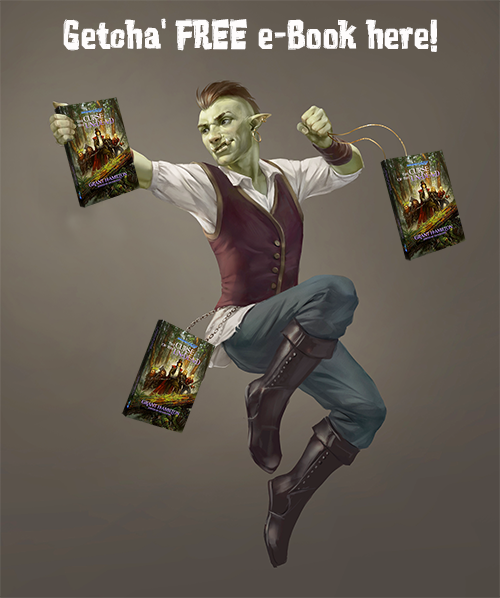 The goblin apprentice left the PDF machine running! We need to clear out copies of our first book before the ogre returns to his lair. 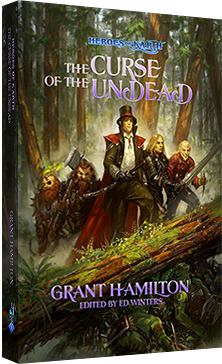 The Heroes of Karth: The Curse of the Undead awaits; to free it from the ogre's prison register now for our unspammy newsletter and we will email your free PDF immediately! come play our strategy deckbuilding card game! Heroes of Karth Deathmatch: Basic Edition™ and Shard and Allegiance booster packs are available on the Game Crafter and at select hobby stores!! 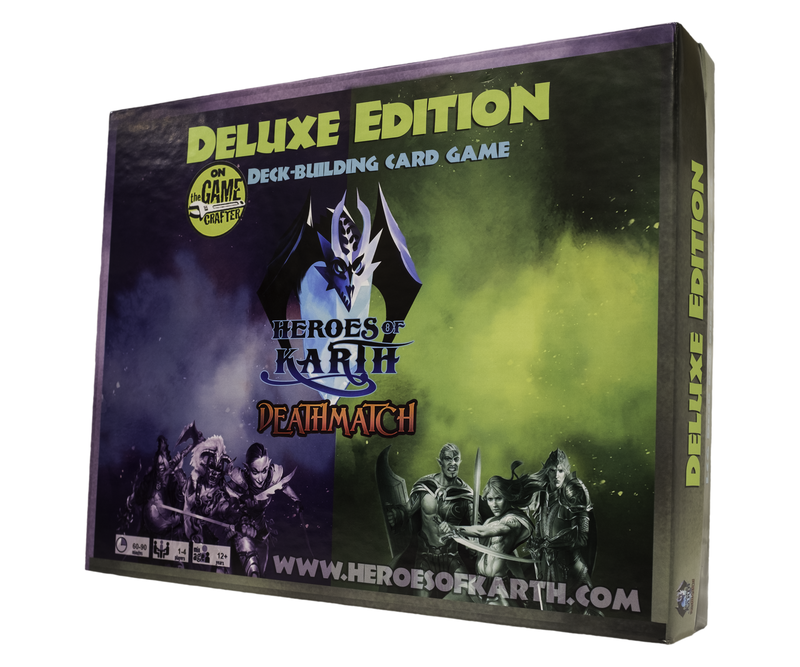 Sold exclusively at the Game Crafter, you can also buy Heroes of Karth: Deluxe Edition, Starter Decks each with their own unique cards and style of play and extra Terrain Cards and Dungeon Terrain Cards. Check out more game play videos here. 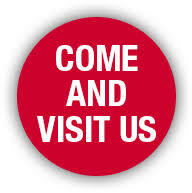 Don't just take our word for it - discover for yourself the magic in our card game!! 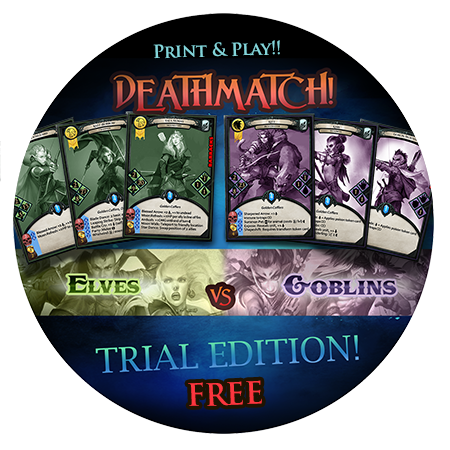 Download the FREE PDF trial version of our Elf Moonguard and Goblin Hunter Decks (A complete game with 2 full decks). Print the cards, cut them out, add them into card sleeves and start playing a 1v1 match now (be sure to also use our free app available on Apple and Android formats as well as our own PC version)! Don't know how to play? Download our Latest Rulebook. Special thanks to Podigy for their podcast services!